Just landed back in Changi Airport this evening. 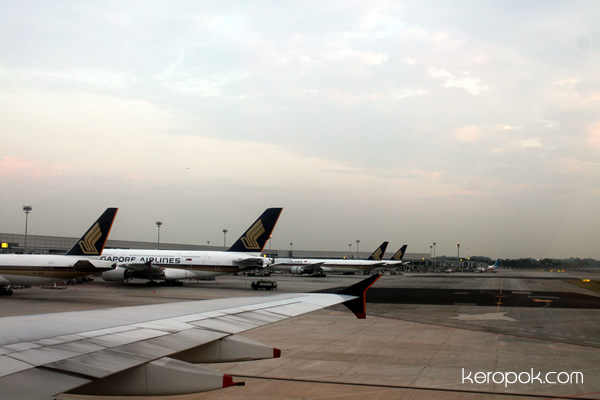 Maybe Singapore Airlines when the plane lands in Changi Airport, should play a instrumental version of the song by Kit Chan, "Home". It will make passengers that call Singapore "Home" very welcomed and warm hearted! If you play the song with the lyrics, some might cringe when they hear it and say 'propaganda' again. LOL! Gentle, soft instrumental version of it will be good while people are anxious to grab their overhead luggage and standing impatiently to get off the plane.